Be the first to share your favorite memory, photo or story of Wes. This memorial page is dedicated for family, friends and future generations to celebrate the life of their loved one. Wesley Andrew Bearden, son of Dr. John and Jean Bearden, was born November 21, 1955 in Batesville, Arkansas. He departed this life, February 11 2019, in his home, Camdenton, Missouri at the age of sixty-three. On April 7, 1978 in Batesville, Arkansas, he was united in marriage to Carla (Powell) Bearden and to this union two boys were born. Together they shared over forty years of marriage. He is survived by his wife, Carla Bearden of Camdenton, Missouri; two boys Brett Bearden and wife Denise of Ottumwa, Iowa; Ryan Bearden and wife Kari of Camdenton, Missouri; grandchildren, Koltyn, Easton, Kanon, Sawyer, and Walker. Also his sister, Dr. Kathy (Bearden) Peckron and husband Ted of Wildwood, Missouri; nephews and niece: Cody Bell, Jonathan Peckron, and Michelle Wilson and their families. Wesley graduated from Camdenton R-III, with a baseball and basketball scholarship to College of the Ozarks. After his college years, he traveled to Colorado working as a carpenter. He returned later to Camdenton and began work as a mechanic which he enjoyed for 6 years before getting trained and certified as a computer programmer. He began work in the I.T. department at the Camden County Courthouse in 1991. He was later promoted to the position of Administrator of the I.T. department to which he served for 23 years. In his past time, he and his family enjoyed camping, canoeing, and fishing. 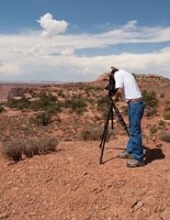 He loved traveling out west to capture the beautiful scenery; his love for photography consumed his spare time, which led him into wedding photography for many years. When Brett and Ryan were kids he loved coaching baseball and basketball. He loved his family and absolutely cherished his 5 grandsons. He also had an affinity for barbequing for family and friends which all started with “Feed the Hogs” on Friday nights before the Laker football games. He was a loving husband, father, papa, brother, and friend. We celebrate his life and will treasure the memories he created for his family and friends. Funeral services will be held at 2:00 p.m., Friday, February 15, 2019 at Allee-Holman-Howe Funeral Home, Camdenton, Missouri. Burial will follow in Laughlin Cemetery, Camdenton, Missouri. Visitation will be held from 1:00 p.m. until time of service at the funeral home. To send flowers or a remembrance gift to the family of Wes Andrew Bearden, please visit our Tribute Store. "Email Address" would like to share the life celebration of Wes Andrew Bearden. Click on the "link" to go to share a favorite memory or leave a condolence message for the family.